These circular and ‘square’ wall-mounted shields made from recycled wood, wire, fillers, glues and found/gifted bone material. 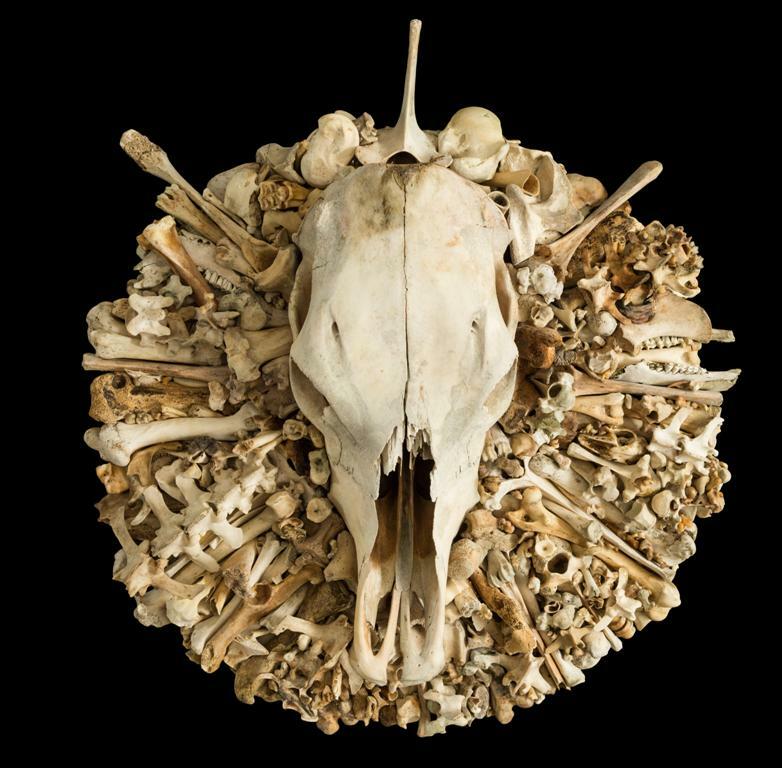 Each circle is approximately 60 x 60 cm wide and is focused around the skull of a domestic cow or steer. They weigh approximately 14 kilos each. 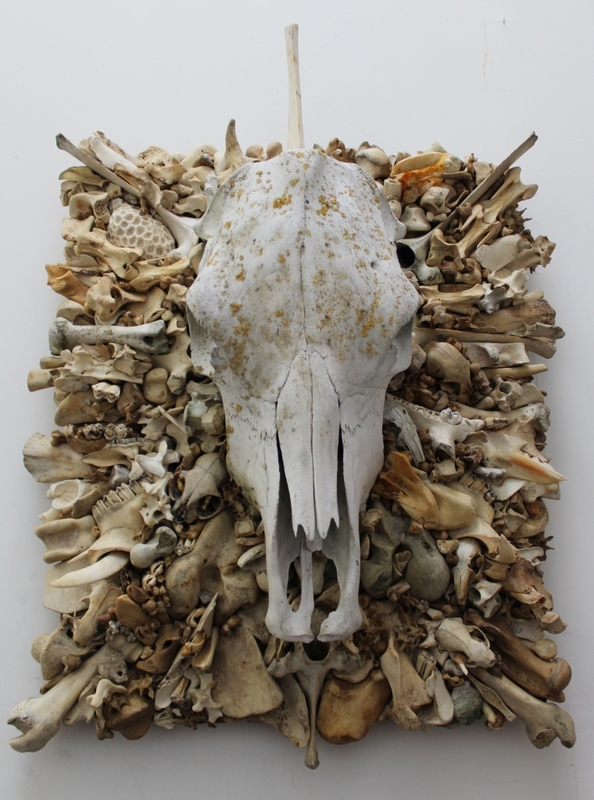 Contains the teeth and bones of cow, sheep, possum, assorted birds and two leg bones from the extinct moa(from the Nelson area). Sold. 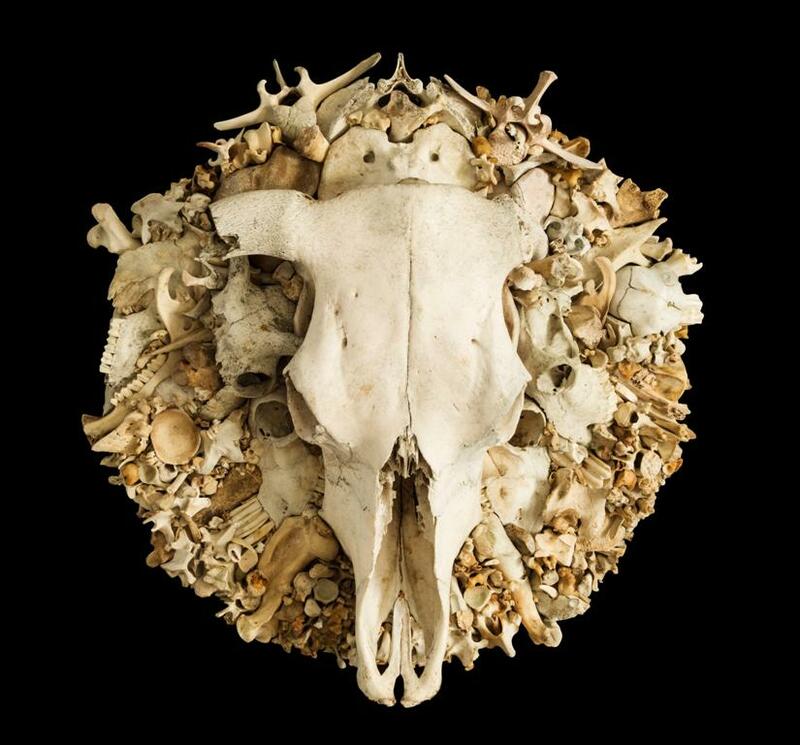 A star-burst shield featuring found animal bones including cow, sheep,goat and domestic dog. It also contains two leg bones and part of the pelvis of an unknown species of moa which was found by Takaka bone-carver,Chris Bone, in the Golden Bay Area. Also two human femurs from a medical school study skeleton I obtained from my father (a GP). 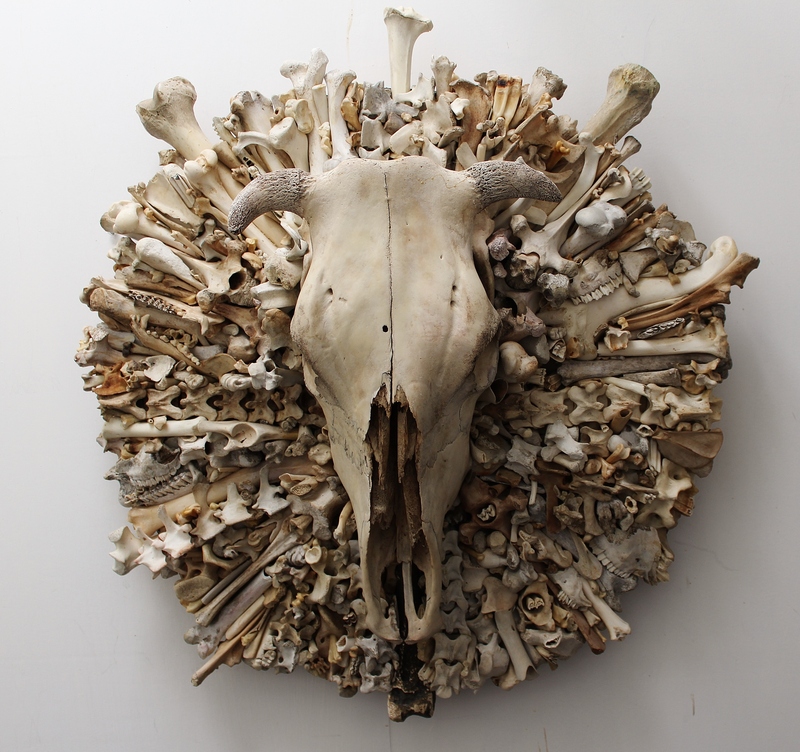 This piece is approximately the same size and weight as the circles above. 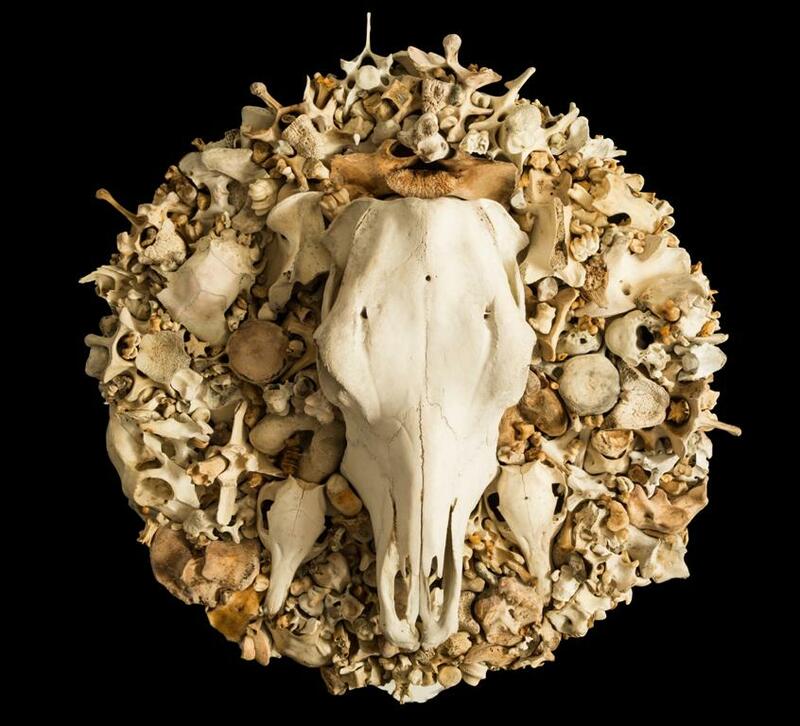 It is focused around a beautiful lichen covered steer skull and contains the bones of cow,sheep,wild pig,possum and ostrich as well as two cat skulls,two ferret skulls,one rabbit skull,one snapper skull,one unidentified fish skull and a tooth(complete with gold filling) donated by a friend.